Are You Ready To /Party? Usually the end of the year is considered the holiday season, but February has just been FILLED with them - Valentine's Day, Friday the 13th, Pancake Day, and now... Chinese New Year and Carnaval! That means only one thing: the party continues! 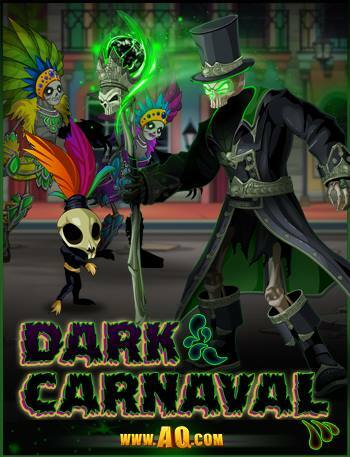 This year, we're celebrating Chinese New Year and Carnaval in the same week, because bigger parties are better! So grab your beads, feathers, sparkly costumes, chinese lanters, and cheongams and get the celebration started! 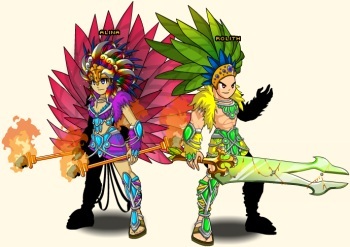 /join akibacny or /carnaval (or talk to Miko and Frevo in Battleon) to begin the adventure! Don't Forget Your Party Clothes! Chinese New Year of the Sheep 2015! This year you get a double dose of international celebration! On the other side of the planet in China, everyone is celebrating Chinese New Year . In /Akibacny the princess of Yokai Island,Ai No Miko, and the river dragon Panlong need your help once again. 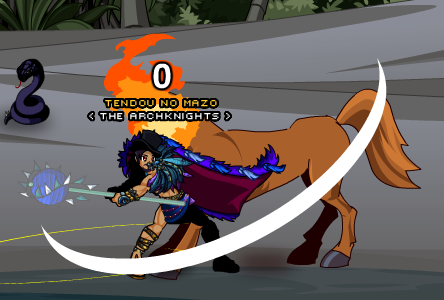 In AQW it has become tradition that we sell a Non-Member AC pet to go with the theme of the Chinese New year. This year it's the Yokai Ram to honor the year of the sheep! 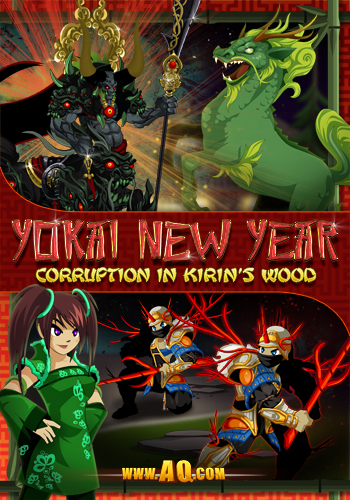 We are adding a few truly amazing Rare items that you will never see again in the Chinese New Year Shop too. 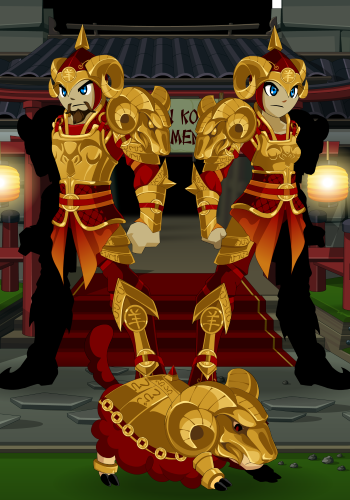 Such as... Memet's Golden Yang set! You will also find a number of Member and Non-Member Seasonal Items returning to earn while Chinese New Years lasts! Happy New Year!